“This is the first time I’ve had authentic sake, and I’ve never thought of sake as such a tasty and smooth drink.” One of the attendees of CJBS Japan Day 2016 excitedly told us. 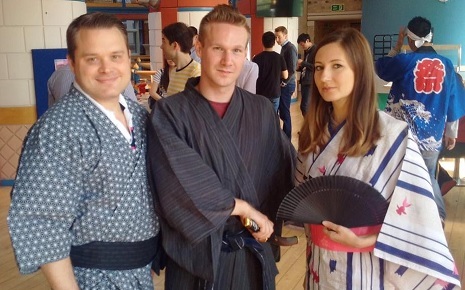 Japan Day was started in 2015 by a team of Japanese MBA students to introduce and promote Japanese culture (“Cool Japan”) to students from all over the world, and this year was the second time for this event with about 100 participants. As with last year, Sake Samurai and Tazaki Foods helped us to organise it. The event started with a talk from Rie Yoshitake from Sake Samurai. Rie showed the movie, In search of Sake (produced by The Guardian), in which Rie introduces three brewers who explain the ancient art of sake making, and then Rie gave an overview of sake culture. At the end of the talk, we tasted sparkling sake, which was provided by Tazaki Foods, and Junmai Daiginjo sake, which is brewed by Asahi Shuzo (one of the Global Consultancy Project clients this year). 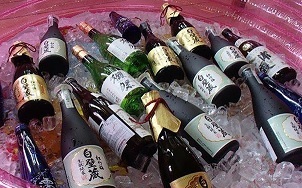 People were very surprised by the sparkling sake as most of them had not had any before. They were also surprised about how smooth the Junmai Daiginjo sake was. After the talk, a wider variety of sakes was served with sushi, octopus balls (“Takoyaki”), and Japanese sweets. We also enjoyed a presentation about Matcha, traditional Japanese tea, followed by a display of Matcha tea serving from CJBS students. 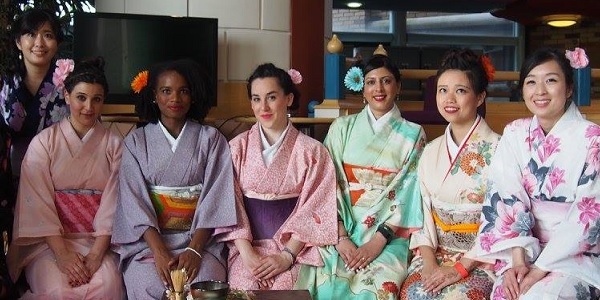 The event ended with a fashion show in which CJBS students wore Japanese traditional clothing, such as kimonos, which you can see in the pictures. The audience enjoyed seeing their classmates in Japanese dress. We really appreciate all the support from staff at the School and from all our CJBS classmates who took part – it wouldn’t have happened without you. We’re planning to pass over this event to next year’s Japanese CJBS students, and we hope it will continue to be a CJBS tradition! Renewable Energy – The Holy Grail of Future Energy?